Benchmark indices ended over 1 per cent lower on Friday, weighed by a sharp sell-off in the automobile and metal stocks. The S&P BSE Sensex ended at 36,546, down 425 points or 1.15 per cent, while the broader Nifty50 index settled at 10,944, down 126 points or 1.14 per cent. 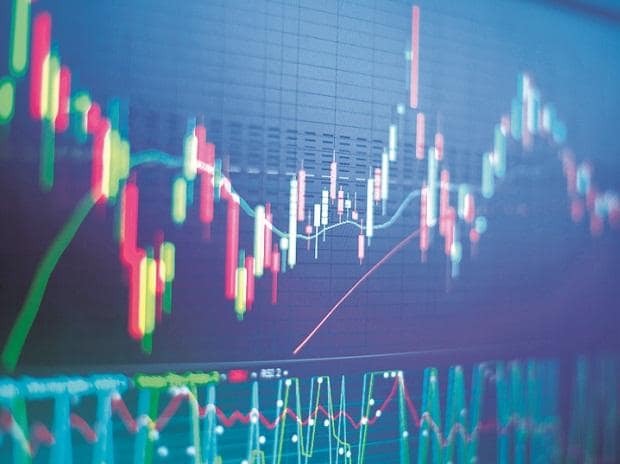 Among sectoral indices, the Nifty Auto index, the top loser of the day, settled 3.6 per cent lower as Tata Motors, MRF and Mahindra & Mahindra (M&M) lost considerable ground. Nifty Metal index ended 3.4 per cent lower with SAIL and Vedanta among the top losers. In the broader market, the S&P BSE MidCap index ended 203 points or 1.40 per cent lower at 14,328, while S&P BSE SmallCap index settled at 13,656, down 122 points or 0.89 per cent. Shares of Mahindra & Mahindra settled at Rs 683, down 2.64 per cent on the BSE after the company and its subsidiary Mahindra Vehicle Manufacturers reported a 60 per cent YoY rise in their consolidated net profit at Rs 1,476 crore for third quarter (October-December) of FY19. Asian stocks lost ground on Friday as investors worried about a broadening global economic slowdown, with sentiment not helped by the absence of any positive signs for a resolution in the US-China trade row. MSCI's broadest index of Asia-Pacific shares outside Japan shed 0.5 per cent, easing back from a four-month peak touched the previous day. The index was down 0.1 per cent on the week. Hong Kong's Hang Seng lost 0.25 per cent and South Korea's KOSPI retreated 1.1 per cent. Japan's Nikkei tumbled about 2 per cent.